Claustrophobia is a fear of being confined to a small space. It’s difficult to know how many people in the United States suffer from claustrophobia because the severity of the fear can vary greatly and could get better or worse over time. Some people might be okay in a small room but terrified of being trapped in an elevator; others with claustrophobia might be fine in the elevator but terrified of being in a tight box. But general estimates put the numbers around five to ten perfect of the population, though. Even on the low end, that means around 15 million people suffer from claustrophobia. While for the most part claustrophobia won’t impact your day-to-day life, there are certain circumstances where it can become an issue. One of the most common scenarios where claustrophobia becomes a problem is when you need an MRI. MRI machines are notorious for making people feel uncomfortable; even someone who never felt claustrophobic before may do so once they are inside the machine. However, the information that this machine can provide to your doctor can be vital for diagnosing health concerns such as tumors, inflammation in the bowels, or even cirrhosis of the liver. So getting through the process, claustrophobic or not, is a must. 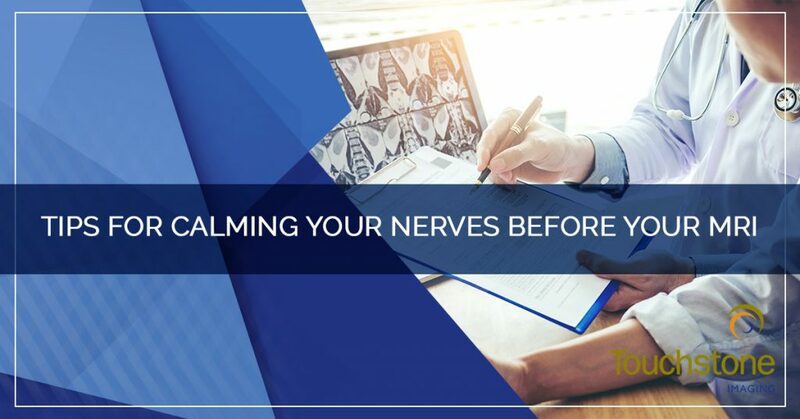 Thankfully, there are a number of things that you can do to make the process of getting an MRI easier on yourself so you can overcome your fears and get the imaging that you need. We’ve been working with patients in the Tulsa area for decades; during that time, we’ve discovered a lot of helpful tips that you might find useful if you are feeling apprehensive about your scan. Tell our team you are anxious about the MRI. We understand! We work with patients who are apprehensive about the procedure every day and get them through the scan successfully. It’s best to be honest with our team and let us know that you are anxious; you can do so at your appointment or even during your initial phone call to our office. This will help our team provide you with solutions that can ease your discomfort and help you get through the scan with minimal distress. There is no reason to be embarrassed about your anxiety, either; after all, you are in good company with about 15 million other people! Go to a facility that offers an open MRI. An open MRI can be a terrific option for those who suffer from claustrophobia. Unlike a traditional MRI machine, an open MRI is open on the sides; that means you won’t be completely enclosed inside of the tube. This can greatly reduce the anxiety of being in a tight space and allow you to get through the scan without any concern. Touchstone Imaging offers open MRIs at most of our locations. Simply ask about having an MRI when you call to schedule your appointment. Ask if your head has to be in the machine. It’s not always the case that your head has to be in the machine for the scan, so before you make that assumption, it’s worth asking your doctor or our imaging team about it. For areas of the body such as ankles, knees, and sometimes even hips, we may be able to get the images that your doctor needs without putting your head inside of the machine. If your head is able to remain outside of the machine, that can make the process a lot more comfortable for you. Ask if you can listen to music. Sometimes the auditory distraction of listening to music or a podcast can help you focus on something other than the fact that you are inside the MRI machine. Talk to your MRI technician about options for listening to music during your visit. While you won’t be able to take any devices into the MRI with you (no metal objects of any kind can be near the machine when it is working), many of our technicians have the ability to pipe some music into the room or into the machine. It can help drown out the noise of the machine at work, too. Know that you’ll be in contact with the technician the entire time. Our technicians will be in contact with you throughout the procedure. If at any time you need to stop the MRI, you’ll be able to let them know or press your contact button and someone will be there to help you out of the machine right away. Please know that if you do stop the scan, then you’ll have to reschedule it for another time. But knowing that help is always there can be comforting! Learn more about how an MRI works and what to expect. Knowledge is power! Knowing more about how an MRI works and what to expect during your scan can give you the power to get through the process. For instance, knowing that the clicks, bangs, and thumps that you hear during the scan are completely normal and part of how the machine works can help ease your mind when you are inside the machine. If you’ve taken all the steps possible to reduce your anxiety but are still having trouble getting through an MRI scan, then you may want to consider conscious sedation. This is where you’ll be given a mild sedative that will help you relax but won’t put you to sleep; you’ll still be awake and conscious of what’s happening around you. This can help patients with severe anxiety get the scan they need for their physician. We can offer you even more help in our office!  If you are concerned about getting an MRI, make your appointment at Touchstone Imaging. Our compassionate team will work with you to help ease your fears and get through your appointment with as much comfort as possible. Give us a call or contact us through our website to learn more about the options available to you. According to the National Osteoporosis Foundation, “approximately 10 million Americans have osteoporosis and another 44 million have low bone density.” Osteoporosis is a disease which causes a loss of density within the bones, making them weak and prone to fractures. It’s a serious condition that can have a huge negative impact on your quality of life and the activities that you are able to enjoy. Adults over the age of 65 are at more risk of developing this condition, and women are often at a higher risk than men. 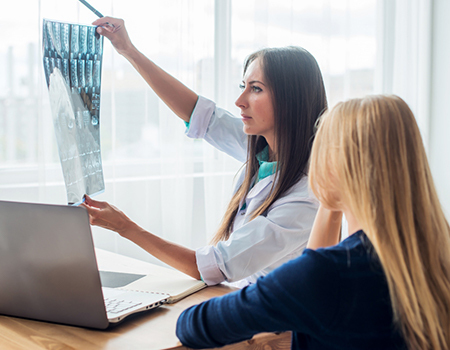 In the past, osteoporosis often went undiagnosed until a patient was injured and fractured one or more bones; unfortunately, at that point, it can be difficult to treat the condition and slow down the deterioration of the bones. But today, patients who have multiple risk factors for osteoporosis may be sent to our Xray team for a bone density scan. Losing your bone density can lead to an increased risk of fractures. While a fracture of the bone might seem like a small matter when compared to heart disease or cancer, it can actually be life-threatening. The National Osteoporosis Foundation states that “24 percent of hip fracture patients age 50 and over die in the year following the fracture.” Many patients who fracture their hips are no longer able to live on their own and will require the help of a live-in caretaker or need to be moved into a nursing home. It can greatly impact the quality of life and prevent people from joining in on activities that they used to enjoy. This can lead to isolation and even depression. So while a broken bone might seem like a little thing, it can be indicative of larger problems on the horizon. The scan is sometimes referred to as a DXA, which means Dual-Energy X-Ray Absorptiometry. A bone density scan is a bit like having an x-ray. You’ll simply lay on a table while the machine does its work. It’s not confined like an MRI machine, so patients who are apprehensive about small, confined spaces will not experience that same discomfort during a bone density scan. The scan uses only a small amount of radiation, so it’s less than other forms of imaging but still something to be aware of, especially if you’ve had multiple scans in the past. The scan takes less than an hour and you’ll be able to resume your normal activities directly after. Any of these factors could bring you into our office for a scan soon. However, after the age of 65, it’s a good idea to be scanned every few years. That’s because bone loss occurs naturally as we age; bone tissue starts to break down faster than our bodies are able to replace it. You can discuss having a scan with your doctor and see if they agree that it’s the right move for your wellbeing. Many insurance companies will cover the cost of the DXA scan. Once your doctor has the results of your bone density scan, they will be able to tell you how your scan measures up against other people your age. You’ll likely go back for a bone density scan every couple of years, and the doctor will be able to look at how your results change over time. The information tells your doctor how likely your bones are to fracture; the less bone density that you have, the more likely they are to break. If your results are cause for concern, then your doctor will prescribe treatment. The main form of treatment for low bone density is an osteoporosis medication. This medication will work to increase the amount of bone tissue that your body is producing. You can help it be more effective by getting plenty of exercise and eating healthy meals packed with calcium and Vitamin D. You’ll be sent back for a DXA scan about every two years so your physician can compare your results and determine whether or not the medication is working. Even if you have many of the risk factors listed above, it doesn’t necessarily mean that you are automatically doomed to having osteoporosis. There are things that you can do to help your body keep your bones strong and healthy. Exercise. All exercise is good for your body, but weight lifting exercises are particularly good for your bones. Strength training has been shown to promote more bone growth in the body, preventing loss. It also helps strengthen the muscles surrounding the bones, giving them more support and preventing fractures from occurring. Get the right nutrients. Your body uses both calcium and Vitamin D as two of the main ingredients in bone building. If you aren’t getting enough of them, then your body will have a tough time replacing the bone tissue you are losing. 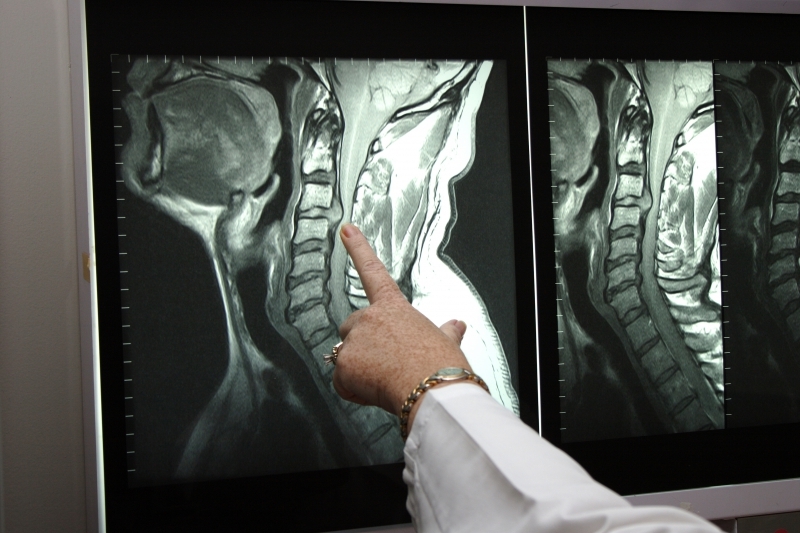 Has your doctor recommended that you get a bone density scan? Or do you have reasons to be concerned and want to be checked? Our imaging centers offer bone density scanning that can help accurately determine whether or not you are at risk of fractures. Talk to your doctor and tell them you’d like to be referred to our facility. If you have questions about our scans or other imaging services like x-rays or MRIs, get in touch with our team by giving us a call or contacting us through our website. Ultrasound imaging is an extremely useful tool, in that, it can be used to observe the hard-to-see places of our bodies. The most known use of ultrasound imaging is to see within the stomachs of to-be mothers. By using this high-level technology ultrasonographers can look inside the belly and observe how the fetus is developing and growing. The ability to use an ultrasound also provides mothers and fathers high-resolution imaging of their baby, in order to see them for the first time. However, ultrasound imaging also allows sonographers to see if anything is seemingly underdeveloped in the fetus. For example, some imaging devices can allow you to see the brain of a fetus. This capability allows physicians to determine if the baby is cranially developing and whether there may be certain developmental issues after birth. It is possible to develop blockages in your blood vessels. This can be very dangerous and could result in strokes, aneurysms, and death. If you have a genetic history of being prone to blockages, getting imaging done can be beneficial. When you come into an imaging center, the ultrasound can detect blockages and blood clots that obviously are not apparent to the eye. When you are getting your circulatory system imaged, an ultrasonographer will perform a Doppler Ultrasound Study. This technique evaluates blood flow through blood vessels and is able to locate blockages or the potential of a blockage in the future. Ultrasound imaging of the abdomen is wide-ranging, in that, it includes many different parts of the body and takes images of different functions. For example, one part of the abdomen that can be examined is the liver. The liver is an organ of the body that is responsible for protein production for blood clotting and plays a central role in bile creation. If your liver is damaged in any way, clots can form and issues with bile in the body can occur. Ultrasound imaging can also look in parts of your body, such as the gallbladder. The gallbladder is an extremely important part of the body, in that, it acts as a sort of reservoir for bile in the body. Bile, or wastes, move from the liver to the gallbladder where they are stored. The gallbladder also acts as a tool to break down fats and wastes in the stomach. According to Healthline’s Body Maps, the gallbladder is used when food enters the small intestine. When this occurs, a hormone called cholecystokinin is released, signaling the gallbladder to contract and secrete bile into the small intestine through the common bile duct. The bile is used to then break down fats. The gallbladder is very helpful in the digestive process, however, no mechanism is without flaws. In some instances, gallstones can form in the gallbladder due to cholesterol, bilirubin, or bile salts building up into small, hard deposits. The bile, in turn, crystallizes and grows over time. Gallstones are hard to detect because it is rare patients feel symptoms until the stones reach obstructive sizes. When the gallstones become too big they will block bile ducts and cause disruption in the gallbladder, as well as the small intestine. If the gallstones are large enough, they can be removed through surgery, however, physicians must determine how big the stones are through imaging. That is why ultrasound technology is so important in more instances that just fetal imaging! Ultrasound provides physicians with an opportunity to analyze and determine the size of gallstones in order to accurately perform surgeries. Much like the other organs in the body, if one fails, they all fail. In many instances, if there is one issue with one organ, the others will follow suit, as they all rely on each other to work effectively. Ultrasound imaging is a valuable innovation because it provides non-surgical, non-invasive means to find answers about the body. If for some reason one organ is not performing as it should be, ultrasonographers can detect the issue and provide a physician with the information to perform a knowledgable surgery. In the cases of the spleen, pancreas, and the kidneys, if any one of these organs fail it can be deadly. Any nicks or holes in any one of these organs can mean an entire “shut-down” of the whole body. With ultrasound technology, patients can be given concrete information about their bodies without risking their lives to go under anesthesia. In cases of difficulties urinating, ultrasound imaging is a very valuable tool. Only with ultrasounds can sound wave technology record in real time the organs and part of the body. When a patient is having difficulty urinating or day-time leaks, this is a sign that something is wrong with the bladder. By using ultrasound imaging, physicians can know with certainty the overall well being of the system. For example, when an ultrasound is conducted on the bladder, an ultrasonographer will be able to image the size of the bladder, the amount of liquid in the bladder, the thickness of the bladder walls, and the presence of blockages. Ultrasound technology is an amazing advancement in medicine and has helped millions of people learn about their bodies. Having an ultrasound procedure is non-invasive and does not give off radiation. It is a safe way to determine information about your body so that physicians can accurately perform surgeries that will save your life. 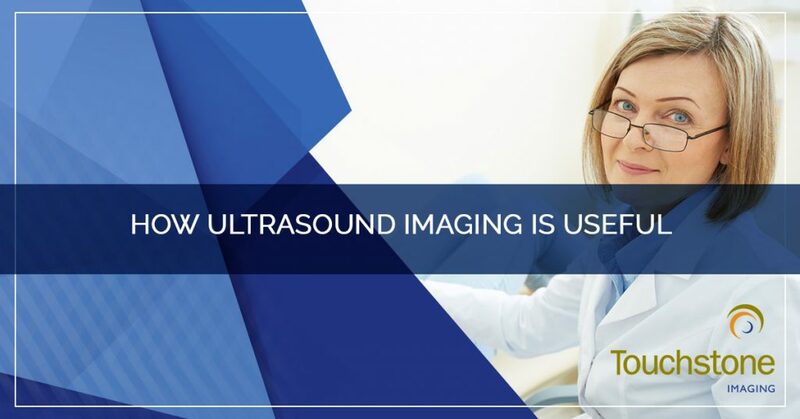 If you are currently feeling under the weather, are in need of an ultrasound image performed, or just need an image center to keep in mind for the future, TouchstoneMedical Imaging is here to serve you! We are an imaging center with incredibly gifted ultrasonographers in Texas, Colorado, Oklahoma, Nebraska, Florida, and Arkansas. If you have any imaging needs, contact us! One of our representatives will be happy to assist you with your questions or scheduling needs. Many kids have at least one type of medical imaging done during their childhood. From sudden aches and pains to an object up the nose, to injuries from sports or play, there are many reasons that a child may need medical imaging. For a parent, not only is the reason behind the imaging concerning, but there could be questions and concerns about the scan itself. Is it safe for a growing child? Will they be able to stay still during the exam? Will they be scared if you can’t stay with them? All of these are valid parental concerns, so read on to see how you can best prepare your child for their medical imaging. Many of the safety concerns revolving around imaging and kids stem from the radiation they would receive from an x-ray or CT scan. Parents have to trust their physicians and know that they wouldn’t be recommended a scan if the risks outweighed the benefits. An x-ray or a CT scan do expose children to a small amount of radiation, but they also are a noninvasive and painless way of diagnosing disease and monitoring treatment. They can both be useful in planning for surgery, and placing catheters, stents, or removing blood clots or blockages. Oftentimes a younger child has trouble staying still for an extended period of time, so the speed with which an x-ray can be done is essential. A CT scan requires a longer period of time being still, often 10 to 15 minutes, but an MRI can be especially hard for little ones who would need to lie still for an hour or more. There is a concern of children being exposed to too much radiation since children’s bodies are still developing, but the FDA has stated that scans for kids are a valuable tool that should be used with discretion. 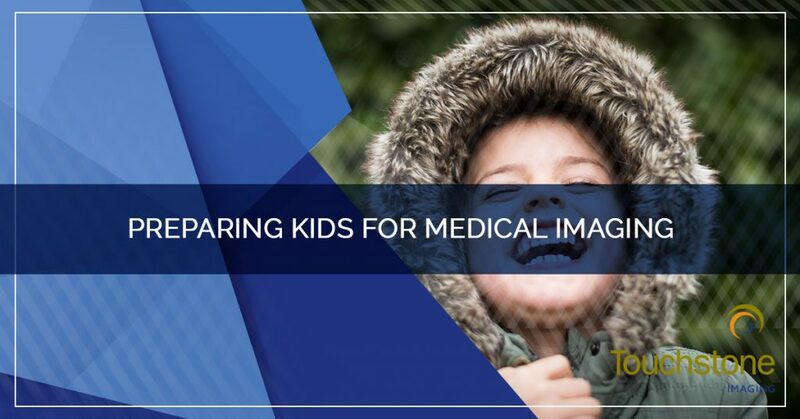 If you have been recommended medical imaging for your child, know that the possible risks have been considered and are outweighed by the benefits. If you, the parent, are comfortable with the idea of your child receiving medical imaging, you now need to make sure your child is ready. The machines, noises, and environment of a medical imaging center can be overwhelming for a young child so preparing them ahead of time is crucial to keeping them comfortable. If your child is having an x-ray, you may not be able to be in the room with them so letting them know that holding their breath, staying still, and following directions will be necessary can get them ready. If your child moves during the imaging the pictures can be blurred and need to be redone. Helping your child understand the procedure and the importance of staying still will make it less likely to need repeat imaging that will expose them to additional radiation. While staying still is essential for x-rays and CT scans, the actual equipment, and the procedure is fairly straightforward and not very frightening for kids. MRIs, however, can be very intimidating as they are big and loud: for both adults and kids! Preparing your child for the size of the machine, the banging and buzzing they might hear, and that they will be inside a tube-like structure. You will want to prepare your child for the type of clothing or gown they will be wearing, if they will be able to eat or drink, and whether they will need to be sedated during the exam (your doctor will let you know if this is the case). Kids like to know what is going on, just like adults, and the more they know about their scan the more comfortable it will be for them. Aside from talking to your child, and letting them ask you and their doctor questions, there are many resources available to help your child learn more about medical imaging. Arnie’s MRI is an adorable book about an armadillo that falls off of his bicycle without wearing a helmet and needs an MRI. This book puts into words the fears that kids may have, and helps address them and stresses the importance of wearing a helmet. Jessica’s X-Ray includes six real x-rays printed on mylar to see what the scans actually look like and how they are helpful. Another great online resource is RADZONE, an interactive game that lets you pick a character to get either an MRI, a CT scan, or an MRI. You are able to learn more about the scan you choose along with a fun, colorful, visual walkthrough of what your appointment may look like. A cheery wise owl helps guide you through the various steps, illustrating how each part of your visit may go. This can be great for children of all ages and is in an engaging format that will keep them interesting. Give your child as much information as possible before they get their imaging, and their pictures will most likely be better and you will avoid the possibility of needing repeat images. Being informed about medical decisions is important for adults, and just as important for kids. Children are intimidated and scared by things that adults might not think of, so using additional resources to help educate your child is key. As a parent, you have the choice of where your child will receive their medical imaging, so choose wisely! 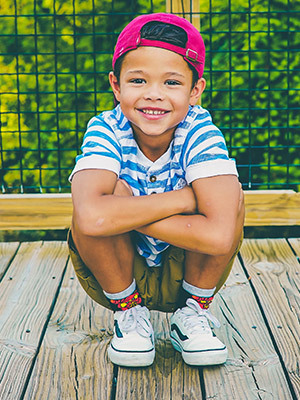 If your child needs medical imaging, contact our imaging center today! If you have never received medical imaging, your first x-ray, MRI, or CT scan can seem intimidating. As with most things, being armed with a little information about the process can make the experience more enjoyable. Read on to learn what to expect when you go to an imaging center, and what you can do as a patient to ensure that the visit goes smoothly and you receive the best quality imaging. Again, your technologist will go over these potential sources of metal and ask you questions to make sure that it is safe for you to have the scan. You should also tell your technologist if you are diabetic, have had a history of kidney problems, or have allergies to iodine or gadolinium, as these can affect scans involving contrast dye. Expect your MRI to last up to one hour (although scan times can vary). You will change into a gown and if a contrast dye is being used you will have an IV catheter inserted into your arm. You will have to lie still during the scan, and you might be asked to hold your breath up to 30 seconds at a time. One of the most important things to know before having an MRI is that if you are using a traditional closed MRI you will be in a very small, confined space that causes claustrophobia in some patients. Although the space is small, the ends are open, and you will be able to communicate with your technologist throughout the scan. There will be loud noises, often described as banging, during the scan that can be disconcerting if you don’t know they are coming. One great option that Touchstone Imaging offers is the open MRI which leaves the sides open and is great for patients who are stockier or have claustrophobia. If you have had fears about having an MRI due to the space constraints, consider an open MRI as a great option. The most important thing to remember while you are being scanned is to relax. Your images will turn out clearer, and your scan will most likely be shorter if you can just breathe, relax, and lie still. Maybe it is a CT scan that you have been recommended by your doctor. You should know that a CT scan, also known as a CAT scan, uses radiation and takes a combination of x-ray images to create computer-generated images of organs, bones, and other tissues. A CT scan can show more detail than just a basic x-ray, and offers helpful information for diagnosis. Although a CT scan does not use magnetic resonance for imaging, you still will be asked to remove metal objects that can interfere with the test results. You also may need to limit eating and drinking prior to your scan if you are getting a contrast dye either orally or by injection. You will be advised whether you need to limit food and drink. You will probably change into a gown, depending on what part of your body is being scanned. A CT scan is not as confined as an MRI, and you will lie on a narrow table that slides through a tunnel that scans as it rotates around you. You may hear buzzing, clicking, or whirring, and will need to hold still because movement can blur the image. CT scans can be very short, or up to a half-hour in length. When you get a CT scan done with contrast it helps illuminate the soft tissues in your body and highlights the blood vessels and organs. If you are given a contrast dye you will be told to drink plenty of fluids after you leave to clear the material from your body. The CT scan process is usually short and painless, and you can quickly return to your normal routine. Ultrasound is used not just for getting a first peek at your new baby, but also for looking at the soft tissues inside of your body. Ultrasound uses sound waves to get pictures of the inside of your body, which is why it is safe for pregnant women. An ultrasound is generally painless, and there are no needles or incisions. You will be advised whether you should refrain from eating and drinking or keep your bladder full. You can change into a gown so that the imaging area is more easily accessible. A water-based gel will be applied to the area being scanned, which helps the equipment glide smoothly over your skin. This gel can feel quite cold to some people, but it will quickly warm up. Your technologist will be able to see the inside of your body in real-time as the glide the transducer over your skin, and may be able to tell you what they are seeing inside. An ultrasound can take up to an hour, after which you are able to resume normal activities. You will most likely be ordered an MRI arthrogram to diagnose joint pain issues. This scan uses a contrast dye called gadolinium that helps highlight the joints to obtain better quality images, and to see how the joint moves in real time. Common ailments that require arthrography include rotator cuff tears, abnormal growths or cysts, adhesive capsulitis, and other issues affecting the tendons and joints. Because the latter portion of an arthrogram includes an MRI scan, you will not be able to have any metal on your body. Your doctor will instruct you on eating and drinking, but usually, you will be asked to not drink fluids two hours prior to your arrival. The first part of the scan will involve applying a local anesthetic to the area where the contrast dye will be injected. You then will proceed to have an MRI scan done. After your exam you may experience swelling or discomfort around the injected joint—this is normal and usually will go away within 48 hours. An x-ray is the kind of imaging that most people are familiar with, and even if you have never had an x-ray for medical purposes, you have probably had one in the dentist’s office. If you are getting a bone x-ray, the scan can be done in as little as a few minutes, and you only need to expose the area needing to be scanned. You will need to hold still during an x-ray, and your technologist may use pillows to help position you in an ideal way to obtain the best images. You will sometimes hold your breath to get clear images. 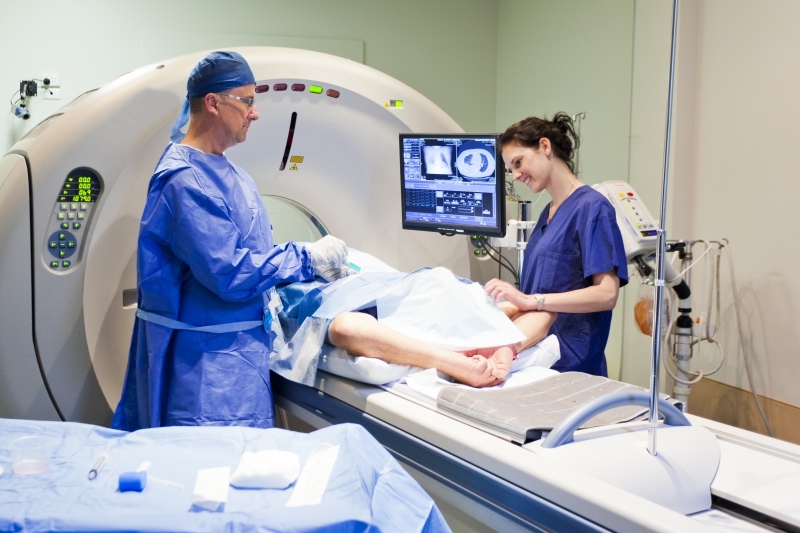 Because x-rays do involve radiation, your technologist will leave to room to avoid exposure. Some x-rays include contrast dye, and if you are having this done your scan will be longer, and you should drink plenty of water afterward. You will be able to resume normal activities after your x-ray. A bone density scan is quick, painless and noninvasive. 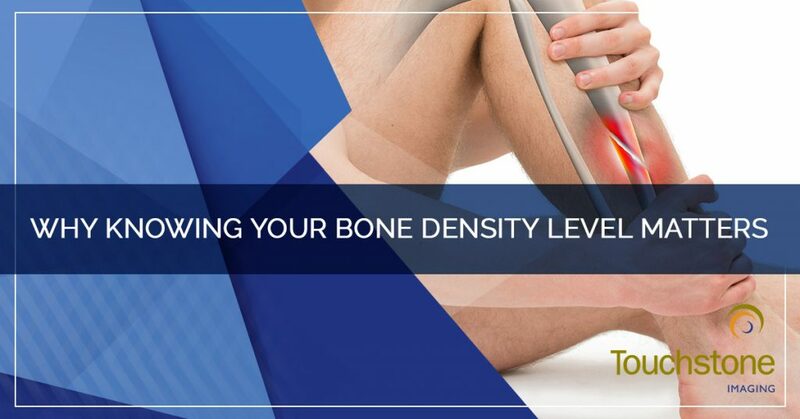 Used to examine your bone mineral content, these scans can diagnose osteoporosis, and are the standard for measuring your body mass index, or BMI. There is no anesthesia, and the amount of radiation used is very small. You will lie on your back on an open table (not a confined space) and there is little to no special preparation, aside from not taking calcium supplements for 24 hours before your exam. After this quick test, you will be able to resume normal activities. Being armed with the knowledge of how each of these scans is performed will hopefully alleviate any anxieties you have and better prepare you. Medical imaging is extremely important in diagnosing and monitoring disease, finding the cause of chronic pain, and developing treatment plans. 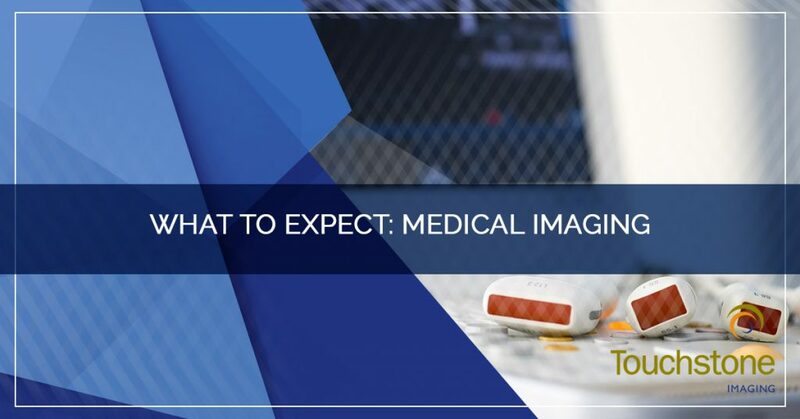 One of the best ways that you can prepare for medical imaging is to know that you have a choice when it comes to where you have your imaging done. Hospitals are not your only choice, and when you are armed with the knowledge that freestanding imaging centers can save you hundreds, or thousands, of dollars, you are able to make the best medical choices. 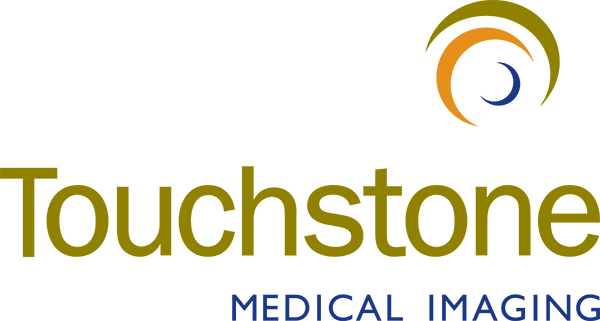 Touchstone Imaging has convenient locations in Texas, Colorado, Oklahoma, Nebraska, Florida and Arkansas, and we can assist you with any MRI, CT, x-ray, ultrasound, or arthrography services you may need—contact us today!